Thank you to Keri Brown for taking time to meet with me on Tuesday morning. 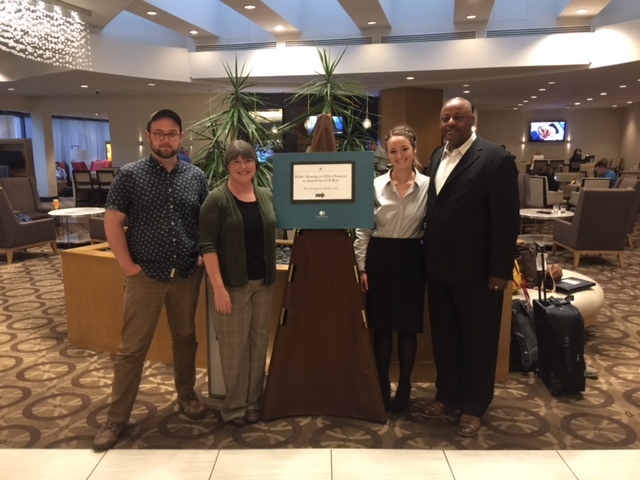 It is always great to meet with Keri and to share her passion about environmental causes. She has won two Edward R. Murrow Award related to her stories on coal ash - one for the Dan River Spill and a second profiling Belews Creek. A local artist is using her talents to create a new public art display in Stokes County. 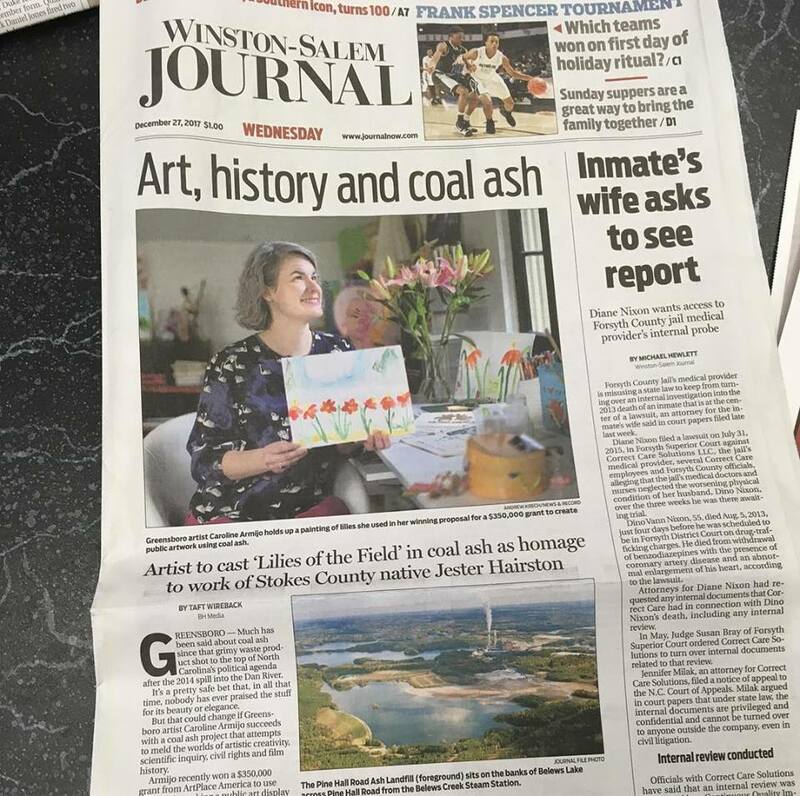 Caroline Armijo recently won a $350 thousand grant from ArtPlace America’s National Creative Placemaking Fund to install her designs in Walnut Cove, near Duke Energy’s Belews Creek coal ash pond. Armijo has partnered with scientists at North Carolina A&T State University to recycle the waste and now she’s making art out of it. It’s called The Lilies Project. Armijo says the project also includes collecting oral histories of residents who have been affected by coal ash. The information will be used to create a walking tour and original performance. The artwork will have to be installed by the end of June 2020, according to the grant. Several community workshops will be held in the coming months to discuss where in Walnut Cove the artwork will be located. Armijo says the project will also be a tribute to the arts heritage in Stokes County. 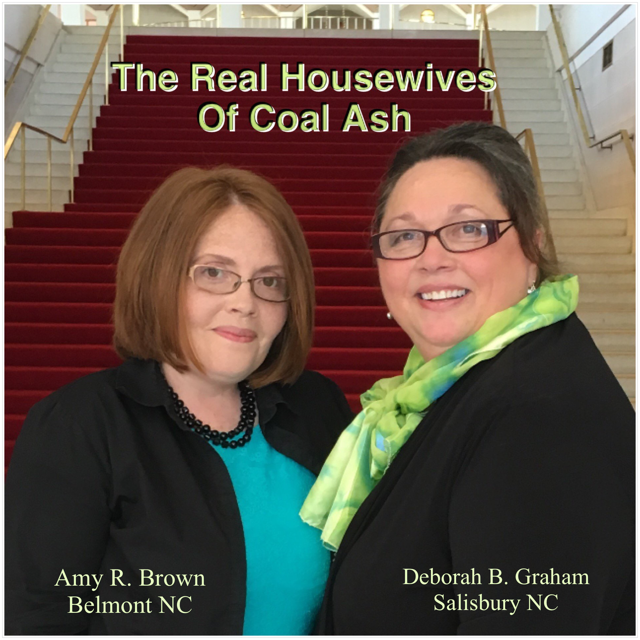 There are around 20 million tons of coal ash at the Belews Creek Steam Station. 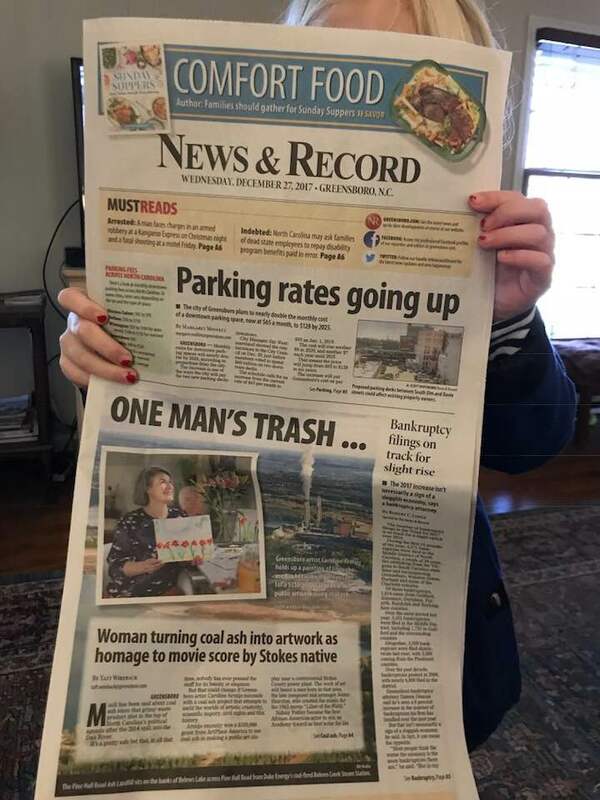 Armijo says she isn’t sure how much of the ash will be used in her art project, but she hopes it will draw more attention to other recycling possibilities and cleaning up the site.